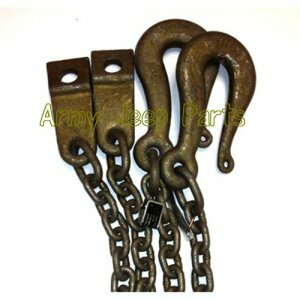 Trailer 1/4 ton Safety Chain set. These are NOS M-416 chains and even have the small tags wire to them. Also good for use on the M-100.